scent: intense, sweet, balsamic, floral; it blends well with Bergamot, Frankincense, Rosewood, Mimosa, Rose and Vetiver. In aromatherapy: when diffused in the atmosphere, breathed in during inhalations or released in a hot bath it relaxes the nervous system, relieves anxiety, stress or nervous tension and creates a pleasant relaxing atmosphere. 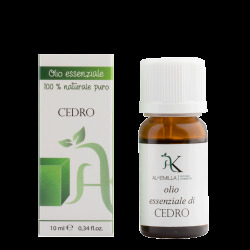 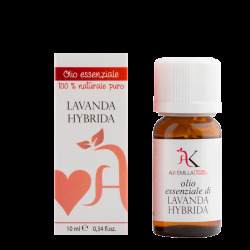 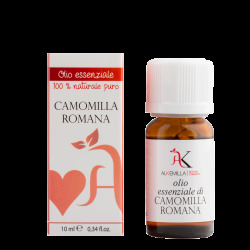 Invigorating and astringent, it is indicated for regulating the excessive production of sebum: the dilution of a few drops in a facial cleanser restores tone and radiance. It is also effective for itchiness, sun irritations, and insect bites. As a hair restorer, it can be diluted in butters (such as Shea butter) or in pure vegetable oils (coconut oil is particularly indicated) for nourishing hair masks before shampooing. Excellent for massages and aromatic, relaxing baths. Recommended doses massages: 2-3% solution in a carrier oil (40-60 drops in 100 ml, or 5-6 drops in a spoonful for on-the-spot preparation) suitable for most areas of the body; 1% solution in a carrier oil or base cream (20 drops in 100 ml, or 2 drops in a spoonful for on-the-spot preparation) for delicate areas of the body and delicate skin types; aromatic baths: 15 drops in 3 spoonfuls of honey, natural marine salt or neutral liquid soap; airborne: 10 drops in a fragrance lamp or diffuser. In cosmetics: it is used for its perfuming/flavoring, antiseptic, antiseptic, astringent, healing and sebo-balancing properties. applications: as a fragrance component and fixative in soaps cosmetics and floral or oriental perfumes; as purifier and sebum regulator in preparations for impure skin and in hair-care products. Warning: it is non-toxic and non-irritant, but excessive doses of its heady perfume can cause nausea and headaches.